Require used car finance? But have poor credit? All that is required from you is that you complete our short application form then sit back and relax. We will search all of the different car loans available to find the best one for you. We will then call you back, usually within minutes, to let you know what we can do for you. Poor credit history: No problem! It's our speciality. Poor credit can be brought about by a number of things; missed or late payments towards your credit cards or any other loans or finance, arrears, defaults and County Court Judgements (CCJ's) which are the main contributors. The good news is there are however still a number of specialist lenders that offer car loans to people with a poor credit record who also offer very competitive rates.  Whitegate Motors has operated with these companies for many years, and it is our experience within this sector that puts us best placed to help you secure a car loan for your next vehicle. A previous customer first class service as always highly recommended to anyone acquiring a motor vehicle.